Relationship Speakers Network Presents Dr. John Gray, Ph.D. Hundreds of thousands of people all over the world have benefited from the work of Dr. John Gray. He is available to present his popular "Mars & Venus Relationship Seminar" (by special arrangement only) or his "Mars & Venus Personal Success Seminar." Dr. Gray now focuses on presenting his "Mars & Venus Personal Success Seminar." Call or write for complete details on how to connect with Dr. Gray. For a complete selection of books by Dr. John Gray, Ph.D., browse the John Gray Book Shelves in Larry's Book Store. IMPORTANT NOTE: Larry James is no longer on staff with Dr. Gray. Personal correspondence to Dr. Gray, e.g., requests for autographed pictures, sending books or pictures to be signed, manuscripts for review, endorsements for books, etc., will not be forwarded. Relationship Speakers Network is a speakers bureau and only requests for speaking engagements will be answered. We do not maintain an up-to-date schedule of Dr. Gray's seminars. Dr. Gray does not answer e-mail send to: JohnGrayInfo@CelebrateLove.com. Other speakers who present the work of Dr. John Gray are also available. Michael Najarian, former long-time colleague of Dr. John Gray, Ph.D. He was formerly the co-host (with Dr. Gray) of the nationally syndicated "Mars & Venus" radio talk show. He was formerly Dr. Gray's appointed ambassador of the Mars/Venus message performing to sold-out audiences in theaters across the U.S. and Europe. After receiving his Bachelor of Arts degree in Philosophy, Michael studied Dr. Gray's principles and theories while producing and conducting domestic and international stage shows and seminars. His continuing academic work has concentrated on physiological and behavioral gender differences for which he earned a Master of Arts degree in Psychology and Counseling. 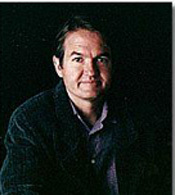 He is a highly regarded expert on the worldwide impact of the Mars/Venus phenomena. Michael was featured with Barbara Walters on a two-hour, primetime ABC News Special, "Men Are From Mars, Women Are From Venus But We Have to Live on Earth." The program chronicled the relationships of eight couples before, during and after a full day experience with the power, simplicity and elegance of John Gray's principles as taught by Najarian. The program illustrated dramatic and immediate positve changes in each couple's relationship. "Men Are From Mars, Women Are From Venus - Life on Earth" is a one-man show featuring Michael Najarian. Participants will laugh while they learn how to understand their differences in a positive and uplifting way. This is a fun-filled, fast paced performance that leads to immediate and dramantic changes. The show can be expanded into a full day divided into four sections; Improving Communication, Keeping Romance Alive, Healing the Past and The Secrets of Intimacy and Passion. A special message from Dr. John Gray, Ph.D., about Michael Najarian. "Thank you for your outstanding and extraordinary performance. The entire learning process was enjoyable. Your presentation style completely held our attention for the entire 4 hours! Thank you for a very special experience!" 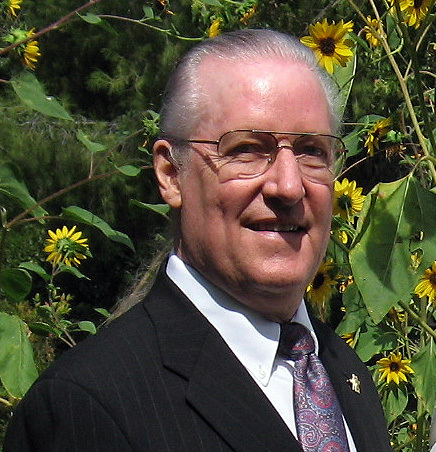 Larry James has been a full-time professional speaker since 1987. His "Relationship Enrichment LoveShop," adapted from his best selling books, "How to Really Love the One You're With: Affirmative Guidelines for a Healthy Love Relationship!" and "LoveNotes for Lovers: Words That Make Music for Two Hearts Dancing!" is presented nationally. His newest relationships book is "Red Hot LoveNotes for Lovers"
In February, 1996, Larry joined the staff of Dr. John Gray, Ph.D. and worked on staff for eight years. He was Dr. Gray's personal choice to host the popular "Mars & Venus Chat Room" on America Online for nearly three years. Larry was the Associate Producer of the nationally syndicated "Mars & Venus" radio talk show for five years. Larry has appeared on ABC TV's "The View" with Barbara Walters and more than 650 radio talk shows. His articles have appeared in numerous publications and on the Internet. Larry presents his own "Relationship Enrichment LoveShop." Call for complete infomation. References from business leaders and church leaders. "Larry James speaks from the heart. His words carefully craft a message of hope that inspires couples to work together in a spirit of love and understanding. The powerful effect of his work in the area of relationships can change your life!" NOTE: Personal correspondence to Dr. Gray, e.g., requests for autographed pictures, sending books or pictures to be signed, manuscripts for review, endorsements for books, etc., will not be forwarded. Relationship Speakers Network is a speakers bureau and only requests for speaking engagements will be answered. We do not maintain an up-to-date schedule of Dr. Gray's seminars. Dr. Gray does not answer e-mail send to: JohnGrayInfo@CelebrateLove.com. For more information about available dates to schedule Dr. John Gray, Ph.D., Michael Najarian, M.A. or Larry James for your next meeting, please contact. . . Send e-mail to Larry James and please state who you would like to have information about. NOTE: When requesting information by e-mail, you must include a contact & organization name, mailing address and day-time telephone number. Speakers Bureau inquiries are welcome.